Cunard Line has announced that Queen Mary 2's much anticipated circumnavigation of Australia will go on sale on Tuesday July 13. 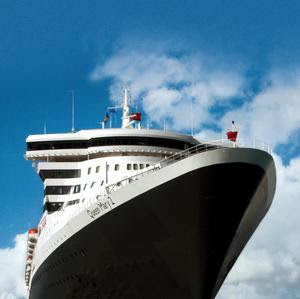 More than 2500 people have already registered their interest in joining Queen Mary 2 on her historic voyage around Australia in February 2012. Cunard said today that bookings would open at 9am (AEST) on July 13 for Cunard past passengers as well as people who had registered interest in the voyage. The general public in Australia and New Zealand will be able to make bookings from July 14 through a travel agent or by calling Cunard. The opening of sales in Australia, before other international markets, is a first for Cunard and reflects the expected popularity of the cruise in the local market. Ann Sherry, CEO of Carnival Australia, which represents Cunard, said the public response to the circumnavigation had been exceptional. "Since we announced this voyage in March, we've had more than 2500 people register on our special website, which equates to more than 5000 potential passengers given most people will travel with a partner," Ms Sherry said. "Based on this early interest we're anticipating heavy bookings when the voyage goes on sale." The largest ship ever to visit Australia, Queen Mary 2 will call at eight Australian ports during her time Down Under including Sydney, Fremantle, Adelaide and the Whitsundays as well as maiden visits to Cairns (Yorkey's Knob), Darwin, Melbourne and Brisbane. Her circumnavigation will also include a call at Bali. Passengers will be able to choose from three roundtrip circumnavigation options – a 22-night voyage departing Sydney on February 14, 2012, a 20-night voyage departing Fremantle on February 8, 2012 and a 21-night voyage departing Adelaide on February 11, 2012. The Australian deployment will be the longest Queen Mary 2 has been based in one country outside of her northern hemisphere home ports of Southampton and New York. Ms Sherry said pricing for the voyage would be announced prior to July 13. Designed to reflect the best of Cunard's heritage and traditions, Queen Mary 2 is one of the most spacious ships at sea. She carries 2620 guests and more than 1200 crew, and boasts 10 restaurants, five pools, the largest ballroom at sea, the largest library at sea and the world's first floating planetarium.